Harvard raised $1.42 billion in fiscal year 2018, the University’s largest-ever annual fundraising sum, and a higher education record. The total represents a more than 10 percent growth over its fiscal year 2017 donation income. Harvard raised the most of any university in the country, according to a report from the Council for Advancement and Support of Education. 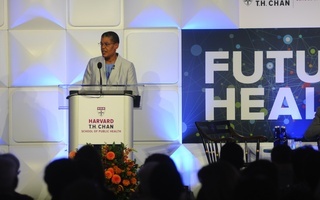 This is the third consecutive year Harvard topped the fundraising field, with Stanford University coming in second all three years, after nearly a decade at the top. This year, Stanford brought in $1.1 billion. Fiscal year 2018 was the final year of Harvard’s record-breaking capital campaign, which brought in $9.6 billion over its five-year run. The campaign was launched in 2013 with a goal of $6.5 billion; before its conclusion, the campaign had raised $1.3 billion for financial aid alone. 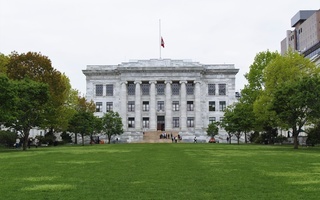 The capital campaign will help fund projects across the University, including a $1 billion science and engineering complex in Allston and the ongoing House renewal project which involves the renovation of a number of the College’s nearly 100-year-old undergraduate Houses. 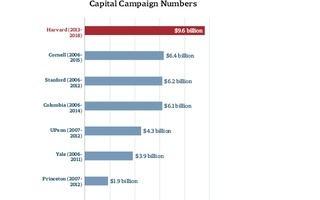 All but the first fiscal year of the capital campaign saw annual fundraising totals in excess of $1 billion. Last year, Harvard raised $1.28 billion, up from $1.19 billion the year before. This year, only two other schools — Stanford and Columbia University — crossed the $1 billion threshold. The University of California, Los Angeles and University of California, San Francisco rounded out the top five, with $787 and $730 million, respectively. Yale University raised the tenth most overall, bringing in $586 million, less than half of Harvard’s total. Several other Ivy League universities — including Brown University, Dartmouth College, and Princeton University — did not make the top 20. United States colleges and universities raised $46.73 billion in the 2017-2018 academic fiscal year, according to the CASE press release. This marked a 7.2 percent increase over the previous recording period and the highest amount ever raised by U.S. institutions of higher learning. The 20 institutions that raised the most money had a combined fundraising total of $13.26 billion, representing nearly 30 percent of the total amount raised by the 929 higher education institutions in the United States who responded to CASE’s annual survey. 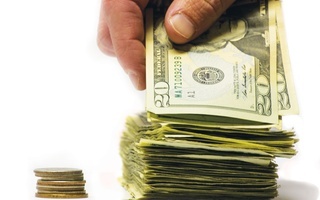 Part of the increase in fundraising may be tied to the Tax Cuts and Jobs Act adopted in December 2017, according to a research brief published by CASE. 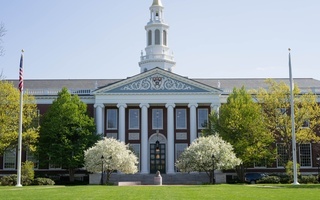 The new law — which imposes a tax on some universities’ endowments, including Harvard’s — removed several incentives for donors, and thus may have pushed people to give more before the changes went into effect. Due to an editing error, a previous version of this article incorrectly referred to Dartmouth as "Dartmouth University" instead of "Dartmouth College."